After we met Adalgisa, we proceeded to go up and down the hilly country side where we saw tobacco plants growing and storage huts for drying. We were then brought to a high point and saw a piscina (pool area) with a fantastic view. Check out the website for more amazing pictures. Once we finished our tour it was time to head back for dinner. 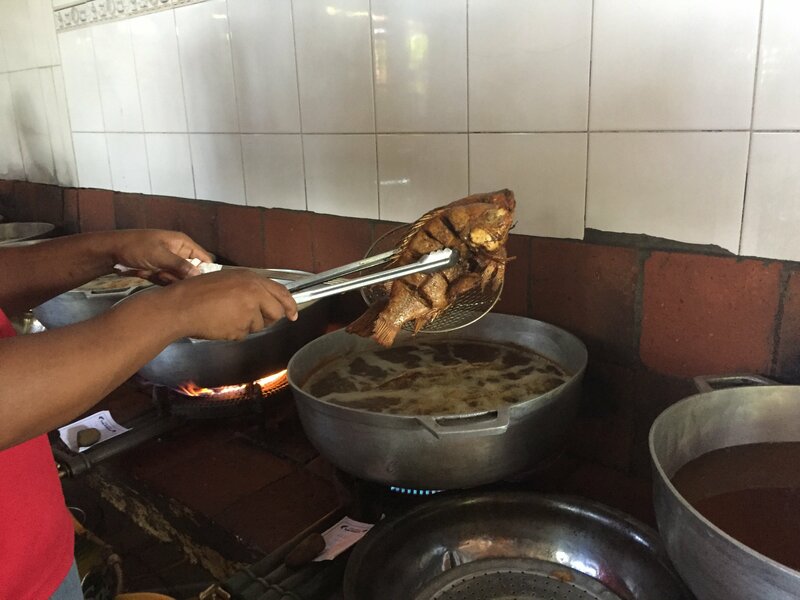 We had an opportunity to join the rest of the family for a fish dinner at one of the local establishments. Fried or oven cooked we could have it our way. 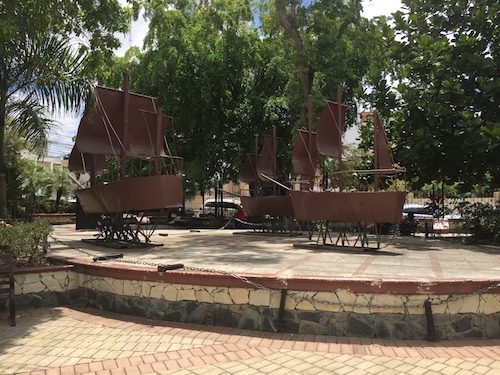 During our class education this week, we were learning about conversational Spanish and talking about directions.We found ourselves at a memorial park dedicated to Christopher Columbus. Like many areas around Santiago, there was iron work. 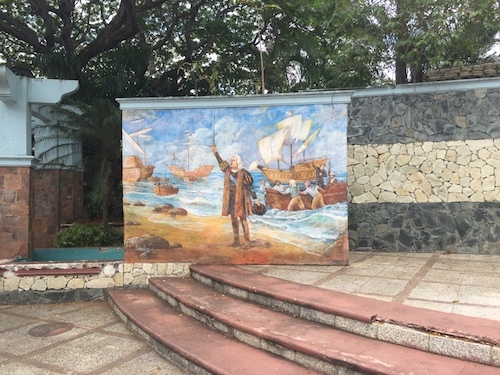 At this park there were the three ships most commonly associated with Columbus’ journey, as well as a few painted murals depicting his arrival. Karl and I have been in contact with several of the missionaries and their families throughout our stay. 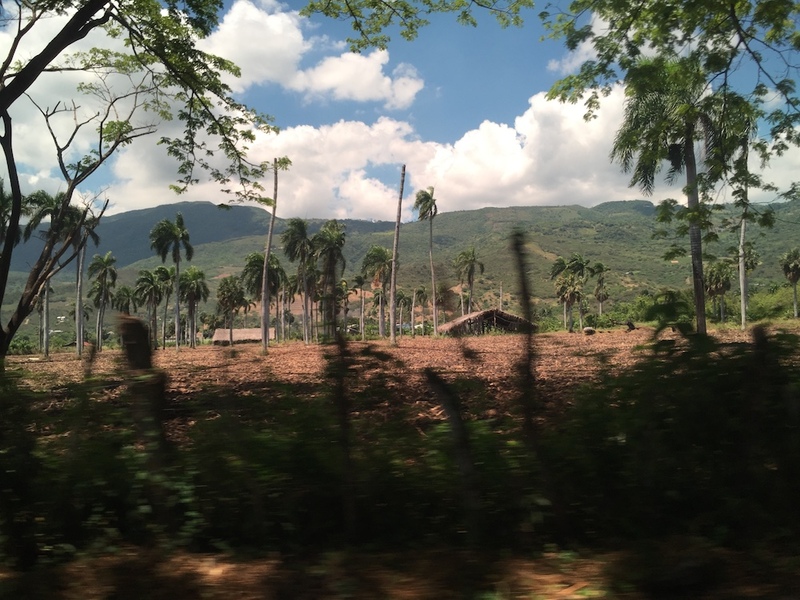 Just this past week, the Office of International Missions - LCMS (Latin American/ Caribbean Region) had their summit meeting in Palmar Arriba, about 30 minutes outside of town. On Monday, we were able to make contact with Ruth and Arthuro Maita and spend some time with them. After that we met up with the president of the Venezuelan Lutheran Church and he once again thanked us for our support through Arepas Para Venezuela fundraiser. Please keep them in your continued prayers. 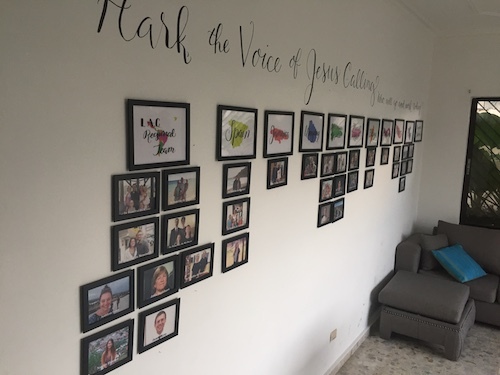 It was at this time we had a tour of the LCMS mission office in Santiago. 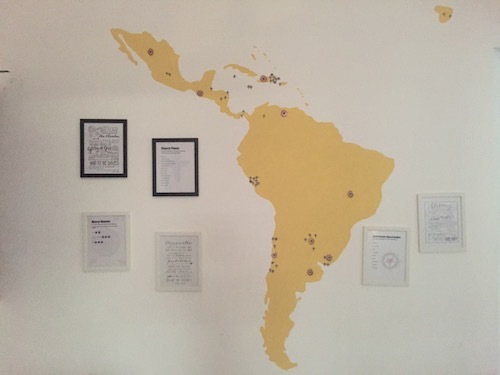 Here is a picture of all of the mission locations in LatinAmerica. The next picture is of all thirty-two missionary families. Later on in the week after our Thursday class we took leave from assisting the instructors teaching and went to see the other missionaries at the seminary. They had just finished their renovation and construction of the building. The first floor is social services, the second floor is a chapel and next to that are professional education rooms and the third floor is the seminary for theological education. It was great to hear about all the mission opportunities in other countries as well as gain insight as to how to do outreach to the hispanic population in Southwest Florida. 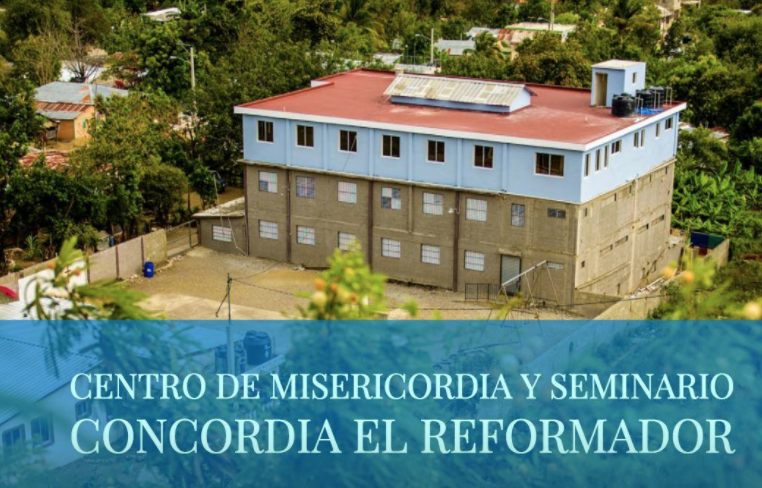 Last, but not least, on April 25th, I received the call officially to serve as pastor at Amigos en Cristo. 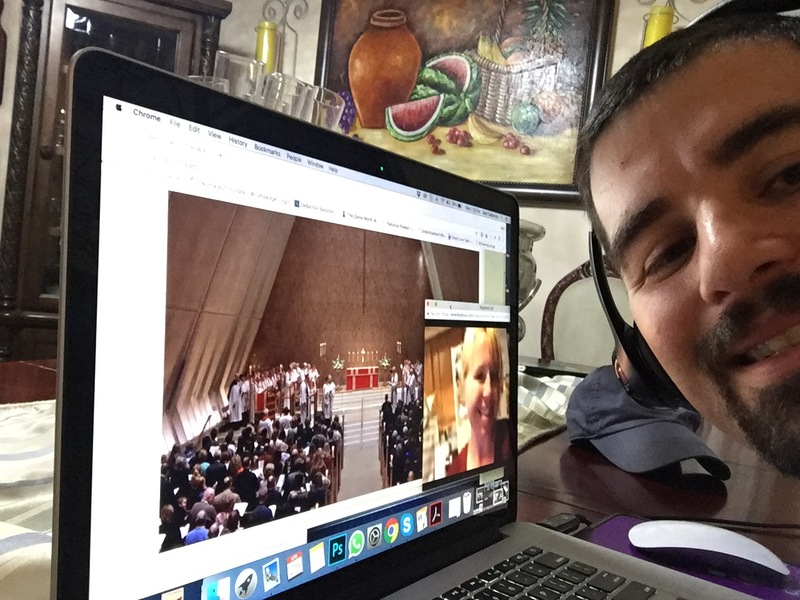 This day was shared with my wife and family over Skype. I will be notifying everyone as to when the ordination service will be in upcoming blogs or through a special announcement. Dora is used to fending for herself. But sometimes everyone needs a helping hand. From childhood she learned to work hard. Dora started picking Texas cotton when she was 7 years old. 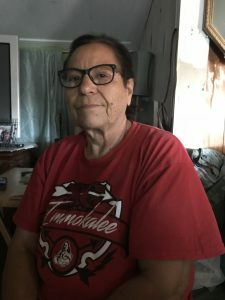 She and her parents traveled from Texas to Colorado, Wyoming, Wisconsin and Ohio in search of work picking sugar beets, cucumbers, peppers and tomatoes. When she was 21 she heard that they were picking oranges in a place called Immokalee, Florida. That is where she has lived for the past 45 years. Though she never married she did raise one of her nephews in a trailer home she still lives in. Hurricane Irma caused severe water damage throughout her home last September. Now she wonders what she will do. She heard about Amigos Center from her brother, a member of our church. 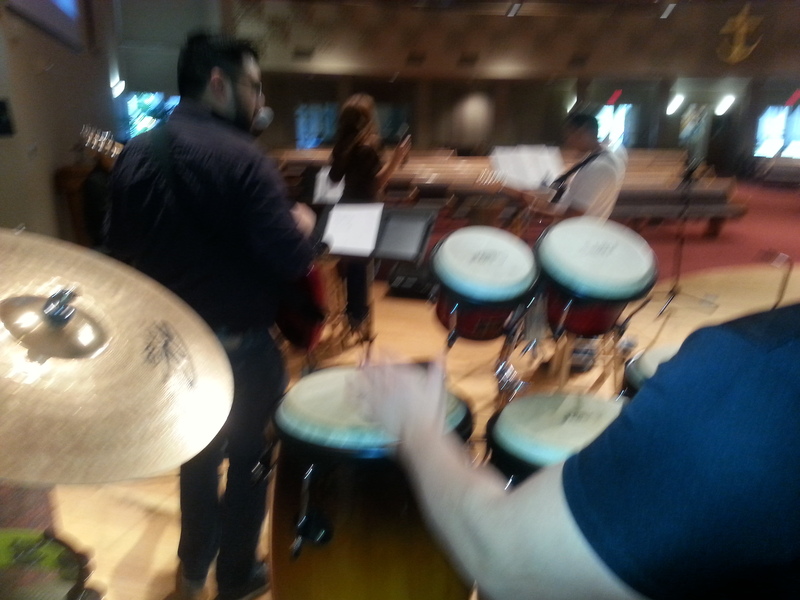 That’s why she came to Amigos Center and eventually to our Spanish worship service. She likes that the church helps people with food and clothes. 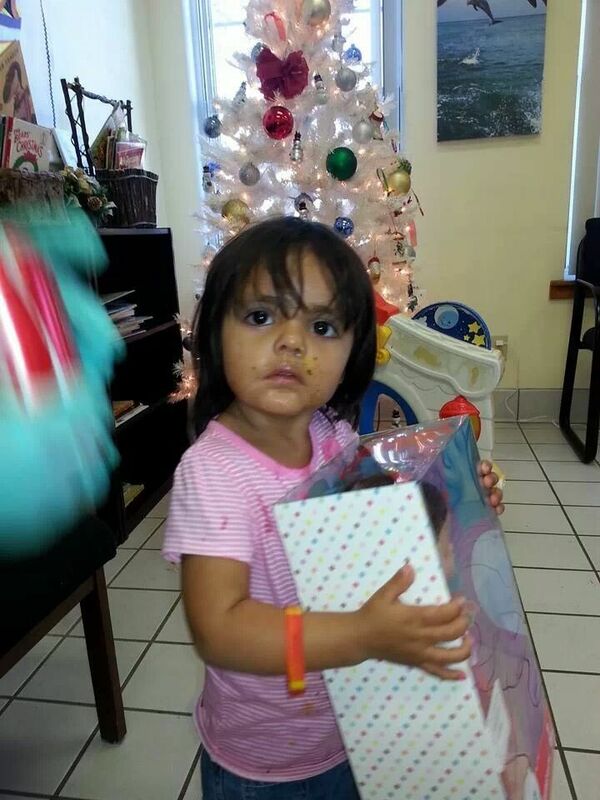 She knows that many in Immokalee are hurting and are in need. Now in her need, she is thankful for the emergency food and small cash assistance that Amigos Center has provided her during this prolonged recovery period. 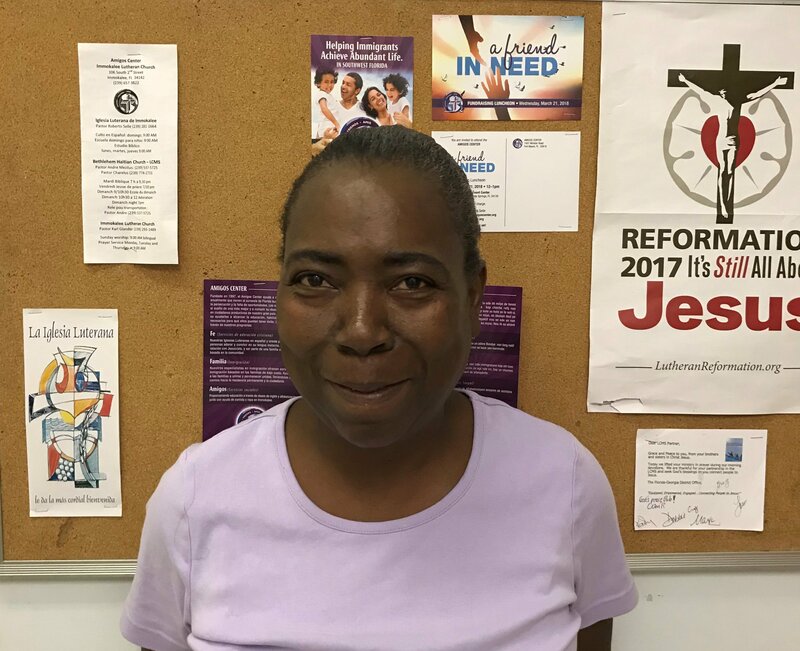 Pray for Dora and the many others in Immokalee who are still struggling with the aftermath of Hurricane Irma. 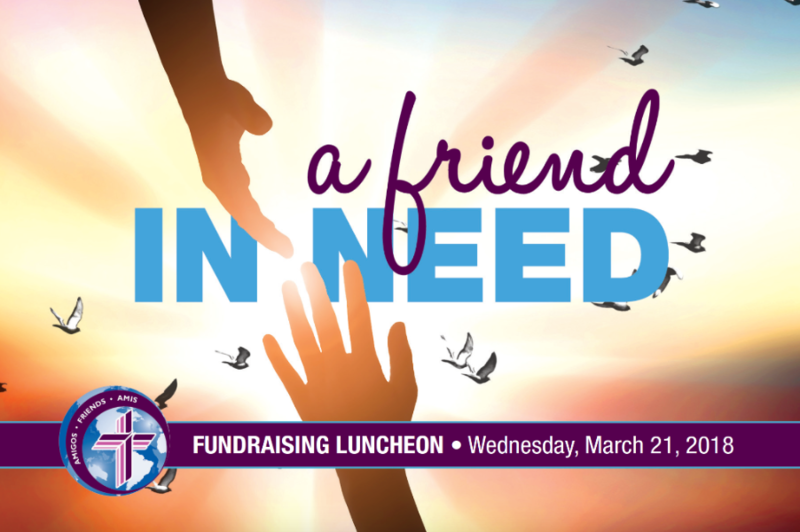 SW Florida Events Center 11515 Bonita Beach Road SE Bonita Springs, FL 34135. As we all get back into the norms of life, we all have time and peace of mind to look back over the past few weeks. Before the storm there was a roller coaster of uncertainty. Early in the week, it looked like Southwest Florida was in the dead center of the dreaded “cone”. As the week progressed, the “cone” shifted east, and we breathed a sigh of relief, but continued to prepare, just in case. Then the realization that the storm was shifting west again, and had the potential to pass just off our coast, resulting in wind damage, but also catastrophic storm surge. We watched with incredulous horror as this huge storm of historic proportions decimated several Caribbean islands, including St. Martin. The images coming from those islands were heartbreaking, and we worried: would Irma do the same to OUR home? Like many of you, our family scrambled to prepare our home and property. 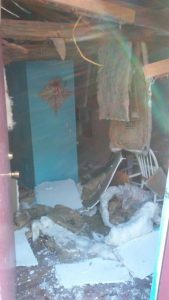 As the week progressed, we became more and more concerned, as there was NO plywood to be had anywhere, and we worried about several vulnerable windows. We prepared as well as we could: trimming bushes and trees and securing anything that could not be brought inside. All the while, there was an overlying worry: how were we going to protect our windows? However, God, in His power and goodness, was at work. On Friday evening before the storm we still had no plywood for our windows, but around 7pm, there was a knock on the door, and there was one of our neighbors, offering several sheets of his leftover plywood. Another neighbor had another extra sheet of plywood as well. Thanks be to God! On Saturday, we boarded up what we could, and tried to get everything ready to ride out the storm. We kept a close eye on storm surge predictions, and when the worst-case scenario had our area under 6 FEET of water, we decided that it would be safer to evacuate. That left us with a dilemma, since it was such a last-minute decision. Should we just go to Immokalee? 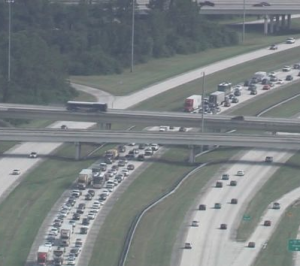 Or north toward Orlando? Or to the east side of the state? We worried about traffic jams and lack of gasoline if we tried to go too far. Once again, God provided. After some online searching and some phone calls, we were able to locate a hotel room in Fort Lauderdale. We arrived at the hotel just as the weather was starting to turn ugly, and then learned that they had been booked for weeks. A room opened up, literally as we were looking. Psalm 46:1-3, "God is our refuge and strength, a very present help in trouble. Therefore we will not fear though the earth gives way, though the mountains be moved into the heart of the sea, though its waters roar and foam, though the mountains tremble at its swelling." As we left our house on Saturday afternoon, we honestly did not know what, if anything, we would be returning to. We tried to trust in God, and at the same time be mentally prepared for the possibility of losing our house and everything in it. When our neighbor texted us, during the eye of the storm, to let us know that our house was standing, with only minor damage, we wept with relief and thanked God for His protection. We returned on Monday after the storm to find a big tree down in our yard, some damage to the roof, but overall, our house was fine. 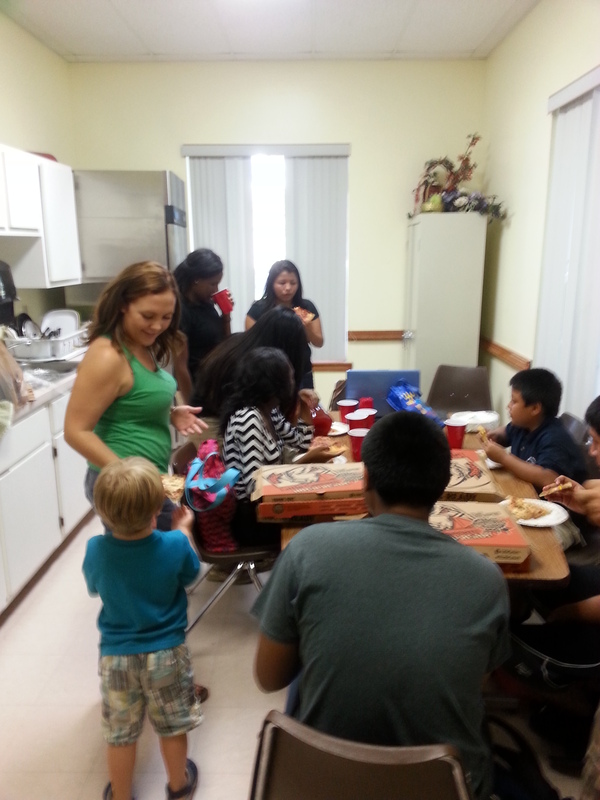 On Tuesday, I went out to Immokalee to check on members of the church, and the Amigo Center’s staff and volunteers. Thanks be to God: no one was hurt. Yes, they had damage their homes: to porches, siding and screen rooms but everyone was ok. 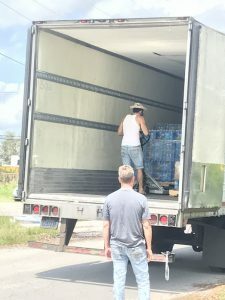 The next day, Wednesday, Harry Chapin Food Bank sent a truck to Immokalee with water and MREs. After almost 200 families were served, Collier County workers arrived with a truck filled with water and more food. 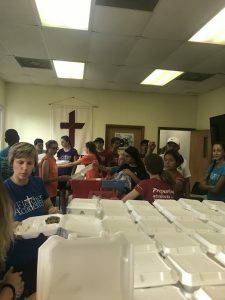 By the end of Saturday, one week after the storm, about 1,000 families were given food or a hot meal through the Red Cross in our parking lot. 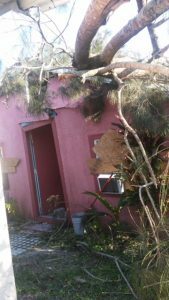 Time and time again, people told us that they had damage to their homes or yards, but invariably, they were thankful that they were safe; that their lives had been spared. Michigan, filled with donated water and diapers. With the help of a forklift, (and driver), graciously loaned to us by Grass Roots Kitchen, pallet after pallet was unloaded from the semi trailer and dropped in the parking lot. Then came the work of transferring everything into the Amigos Center lobby. In case you’re wondering, a pallet of bottled water is HEAVY, even with the help of a pallet jack! Thanks to the help of many volunteers who were willing to do a fair amount of heavy lifting, we were able to move all of the donated goods into the Center. Our volunteers have worked hard, organizing the donated supplies and helping with distribution to hundreds of people. We are continuing twice weekly food distributions throughout the month of October. 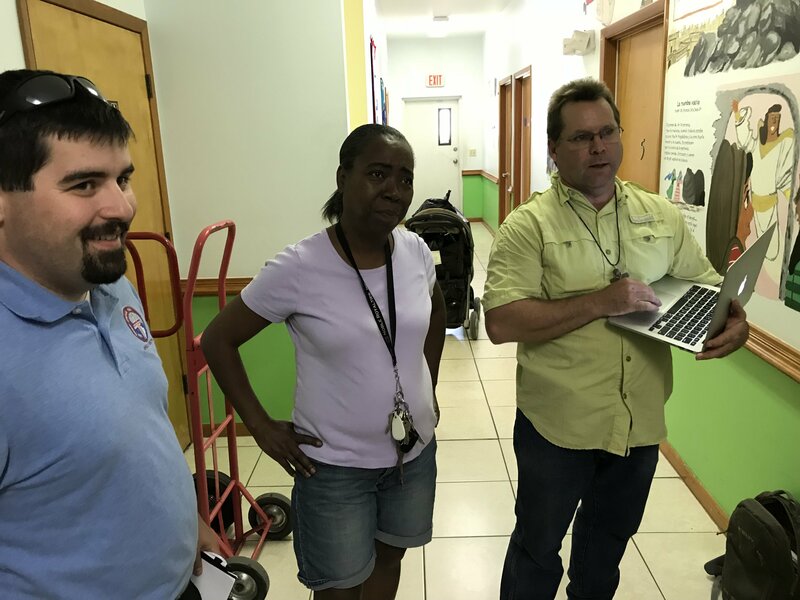 However, we are also focusing on church members and community members who have had severe damage to their homes; many have been deemed uninhabitable, and others have significant damage to the structure or contents. Some homes sustained flood damage, and others had water damage to the interior and contents because of roof leaks or broken windows. I have been working on identifying needs and locating assistance for these families. 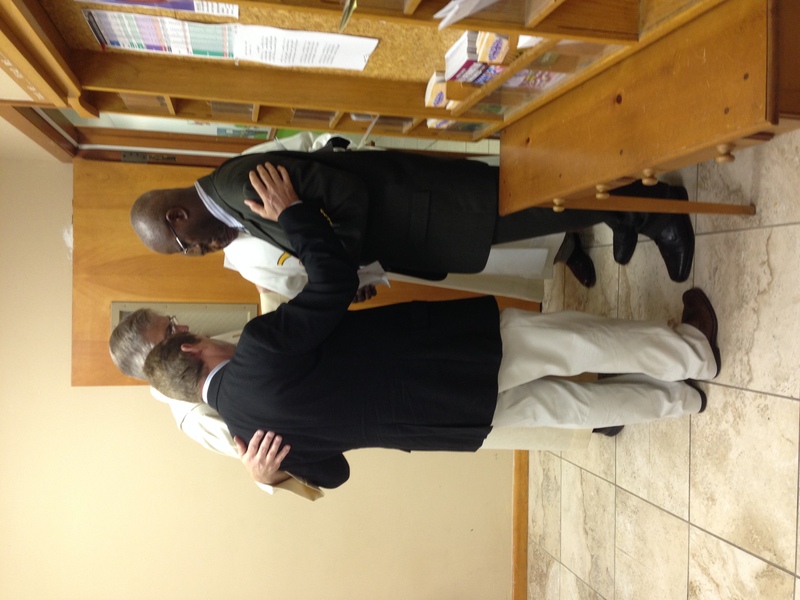 As I look back over the past month, I am humbled and awed by the many demonstrations of God’s grace and power. Of course, there is the obvious; the storm itself, an awesome and terrible display of God’s power in nature. God’s providence has been shown in abundance, before, during and after the storm, in answered prayers, in neighbors helping neighbors, and in the generosity shown by so many people. God truly is good, and His power is made perfect in weakness as He says. We were all “weak” in the days after the storm; no electricity, limited or no cell service, no internet, wondering how we were going to ever get our lives back to normal. But time and time again, God provides. Thanks be to God! As of this writing, Congress has not decided whether to renew the charitable IRA rollover, or qualified charitable distribution (QCD), for tax year 2014. Since 2006, many donors age 70 ½ or older have used this option to exclude from taxable income qualifying charitable gifts transferred directly from their IRA to charity, including gifts to ministry. If Congress follows what has become its usual pattern, it will pass an extension in December that will apply through 2015 and be retroactive to January 1, 2014. If you are considering a gift from your IRA for 2014 and are 70 ½ or older (on the date of the gift) and itemize your tax deductions, you may want to go ahead and make the gift up to the amount of your RMD (required minimum distribution). If Congress passes the extension and makes it retroactive, you will be able to treat the contribution as a rollover gift. If Congress does not pass the extension or make it retroactive, you will still be eligible to deduct the gift as an itemized deduction. If you do not itemize or if you are making gifts in excess of your RMD, you may want to wait and see what Congress will do. If Congress does not pass an extension, you may want to make the gift from other resources. Of course you should always consult your tax advisor before making any contributions. For more information or help answering questions you may have about making a gift with lasting impact, contact Jim Pennington, LCMS Foundation - Gift Planning Counselor. 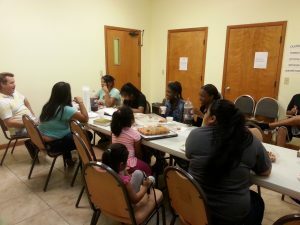 Under the leadership of Vicar Karl Glander our English language ministry in Immokalee continues to develop. Every Wednesday night Vicar Karl meets with a growing group of young people for food, Bible study and friendship. 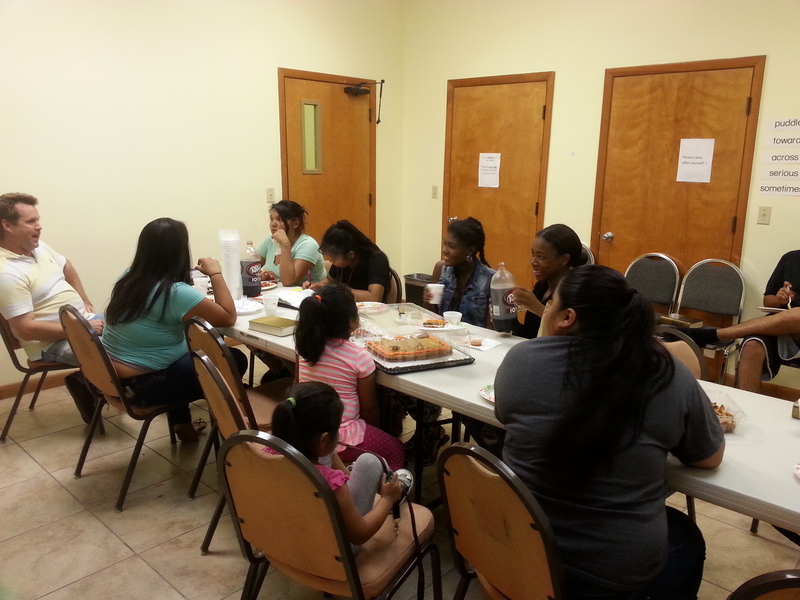 While these young adults are fluent in the native language of their parents, they feel more at ease speaking in English. This has created a wonderful niche for discipleship. Our Hispanic ministry in Immokalee was greatly enriched by receiving Danuel Morford into membership through affirmation of faith. 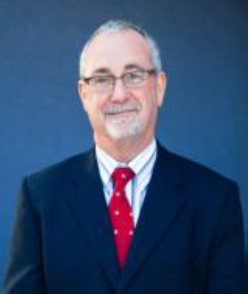 Before moving to Immokalee, Dan spent many years working as an accountant as a Peace Corps volunteer in Latin America. 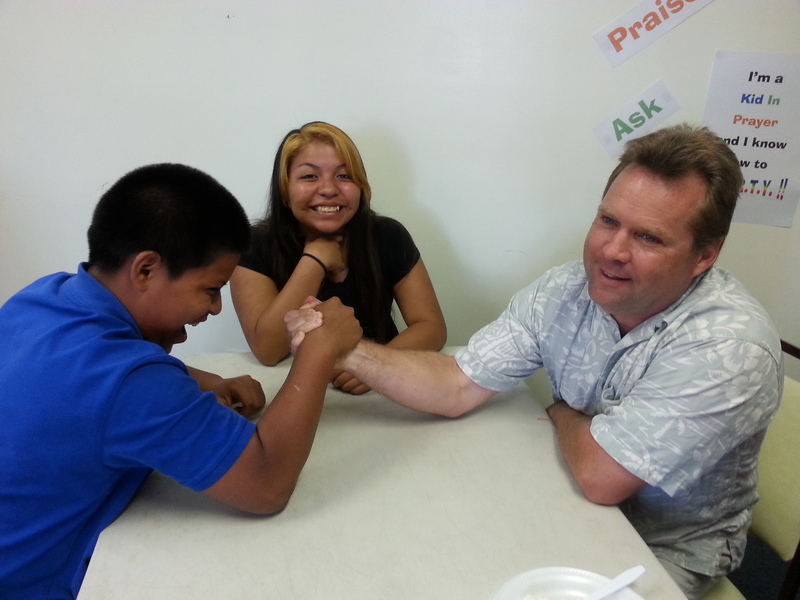 He now volunteers to tutor our Amigos Center English language students. 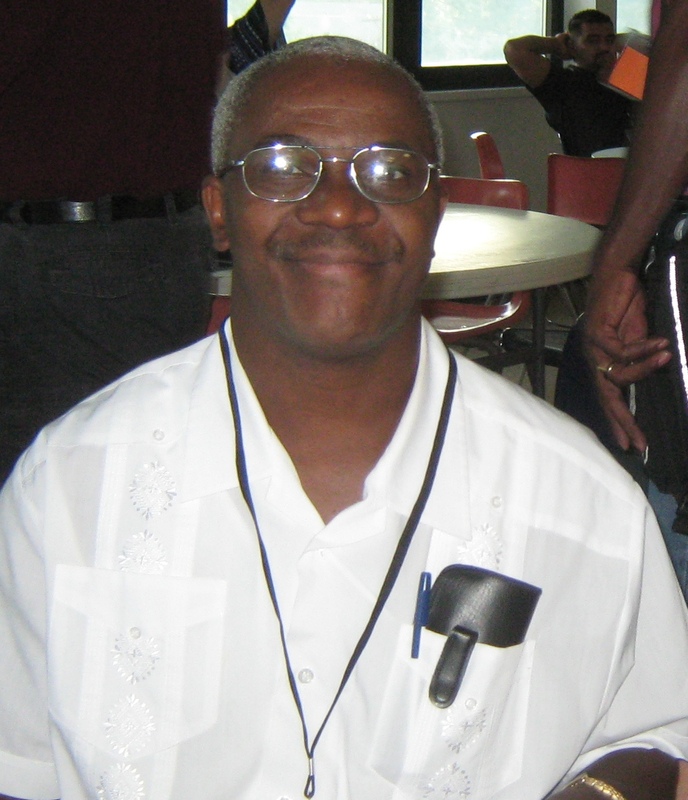 Bethlehem Haitian Church – LCMS plans to extend a divine call to Vicar Saint Luc Charelus to serve on their pastoral staff together with Rev. Andre Mezilus. Saint Luc is a student with the Ethnic Immigrant Institute of Theology at Concordia Seminary. God willing, he will finish his theological studies by the summer of 2015. 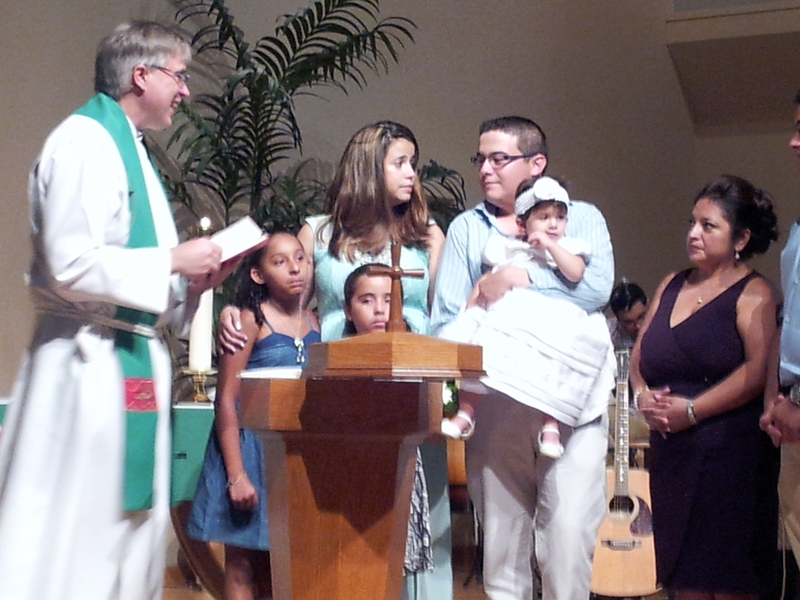 During 2014 we baptized two children and one adult and received two adults into membership. The expansion of our music ministry has been a highlight. Visit our website to hear a sample. We hope to prepare a gift CD of their music during 2015. 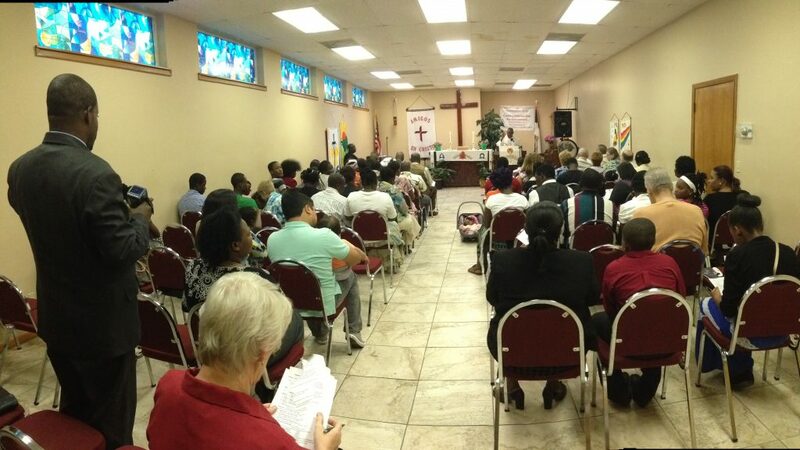 On May 4th, 2014 was the induction service for two vicars for our Immokalee ministry. Vicar Saint Luc Charelus will finish his theological studies next year; Vicar Karl Glander is just beginning his 4-year program of study. Both are enrolled in distance education programs of Concordia Seminary, St. Louis, MO and work under the direction of local mentors and supervisors. Upon satisfactory completion they will receive a Theological Diploma which makes them eligible for a divine call to the pastoral ministry of the Lutheran Church – Missouri Synod. 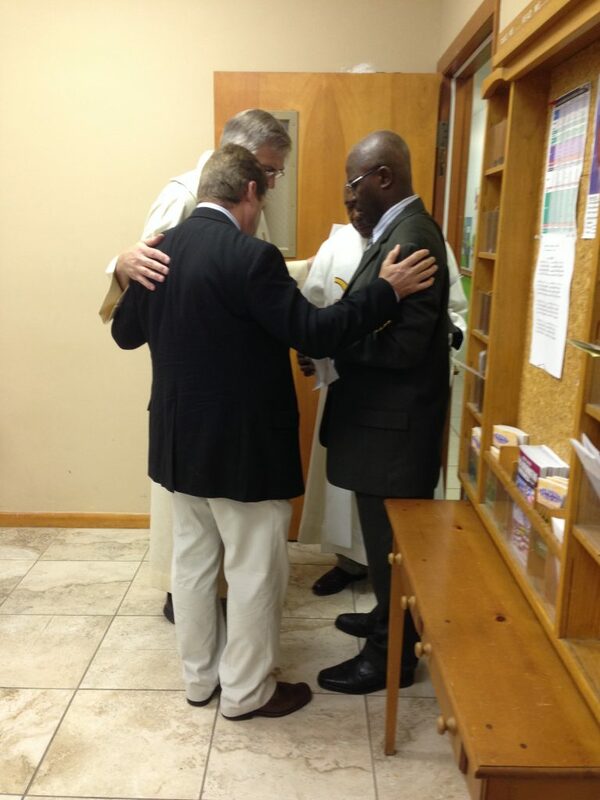 Upon graduation, we expect Saint Luc to join our pastoral ministry team at Bethlehem Haitian Church – LCMS. Karl will head up our English language mission in Immokalee. 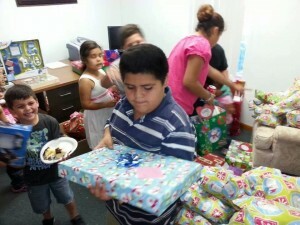 1 We celebrated the birth of Jesus Christ on December 22 in our Immokalee church and we shared the joy of God's gracious gift of His Son in Immokalee this Christmas. 1 1Congratulations to Maria Herrera on the transfer of her Board of Immigration Appeals accreditation to Amigos Center! She is now recognized at both our Golden Gate office and Bonita Springs office! and storage huts for drying. We were then brought to a high point and saw a piscina (pool area) with a fantastic view. Check out the website for more amazing pictures. Once we finished our tour it was time to head back for dinner. We had an opportunity to join the rest of the family for a fish dinner at one of the local establishments. Fried or oven cooked we could have it our way. Karl and I have been in contact with several of the missionaries and their families throughout our stay. 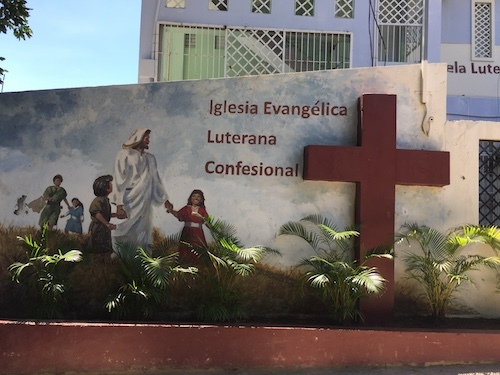 Just this past week, the Office of International Missions – LCMS (Latin American/ Caribbean Region) had their summit meeting in Palmar Arriba, about 30 minutes outside of town. On Monday, we were able to make contact with Ruth and Arthuro Maita and spend some time with them. After that we met up with the president of the Venezuelan Lutheran Church and he once again thanked us for our support through Arepas Para Venezuela fundraiser. Please keep them in your continued prayers. 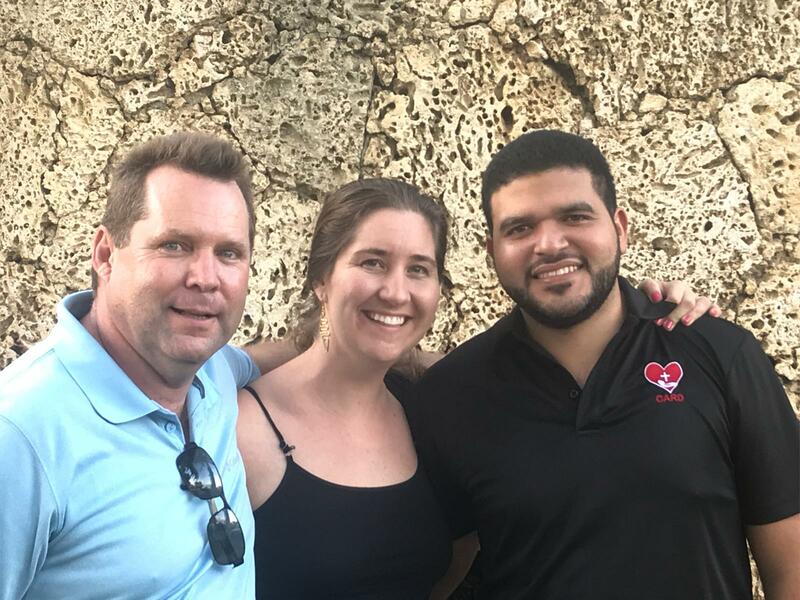 Leonardo Garcia, one of the Amigos Center board members, is coming to visit us this week at the institute so I am sure we will have more to talk about next week. Please check the web page for new updated photos of our trip. 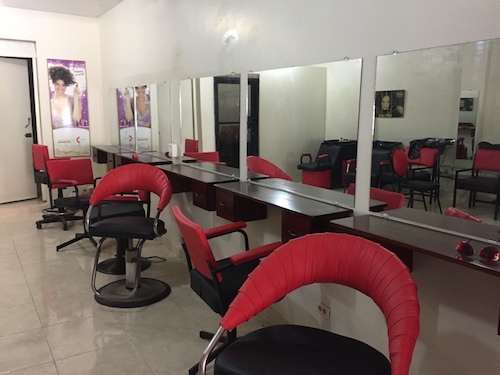 www.amigoscenter.org/dr-trip. Please keep us and our families in your continued prayers. Love does funny things. 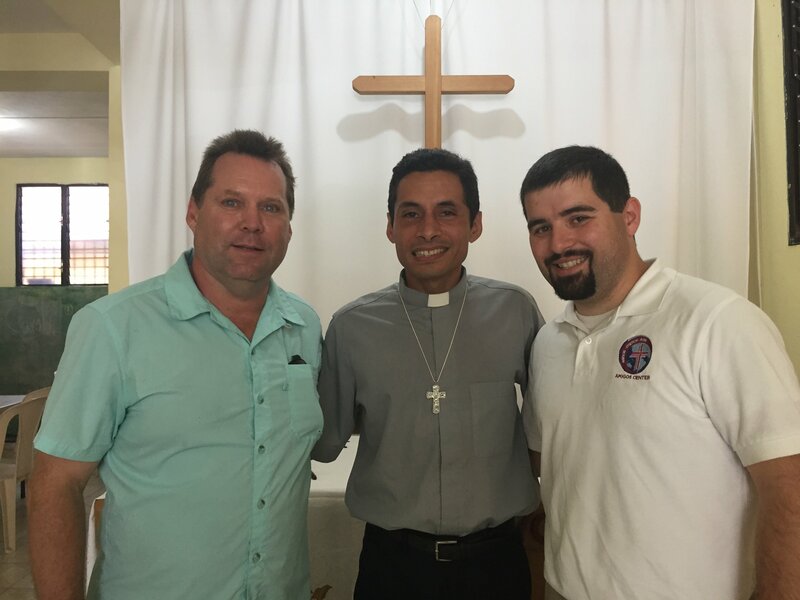 It recently brought a young Venezuelan, a recent graduate of Concordia Seminary, Buenos Aires, Argentina, to Fort Myers, FL. Rev. Maita has come to marry Ruth Pollex, a teacher at St. Michael’s Lutheran School. They met while both were serving as missionaries in the Dominican Republic. 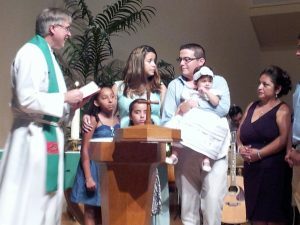 Their immediate plans are to live in the Fort Myers area where Rev. 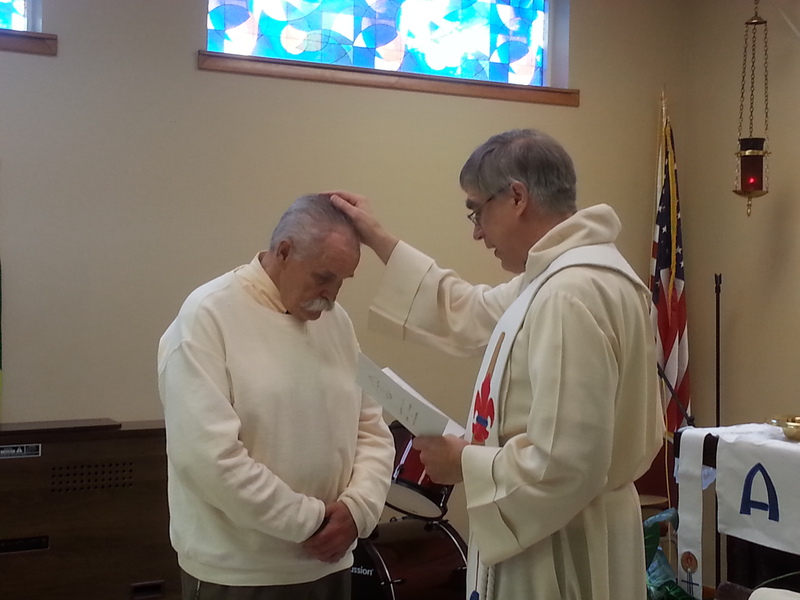 Maita hopes to find a place to serve God as a Lutheran pastor. 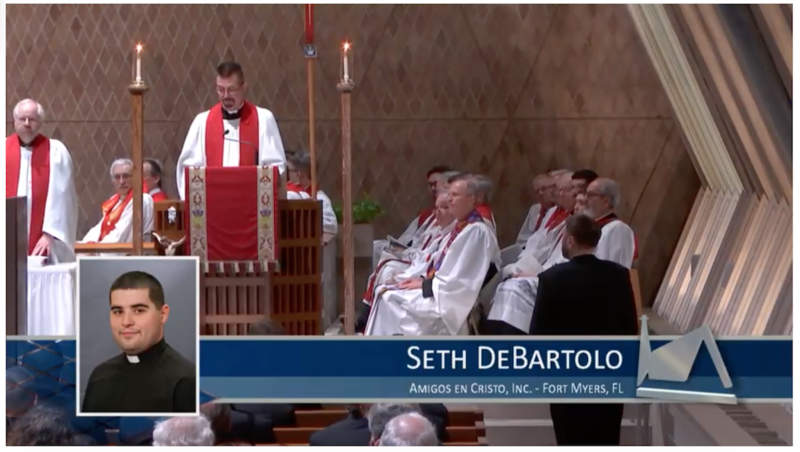 It just so happens that Amigos en Cristo is looking to bolster our pastoral staff with a Spanish speaking pastor who can help with our Hispanic mission churches in Bonita Springs, Immokalee and other future sites. Pray that God’s will be done. And stay tuned to find out what happens next. For more information or help answering questions you may have about making a gift with lasting impact, contact Jim Pennington, LCMS Foundation – Gift Planning Counselor. 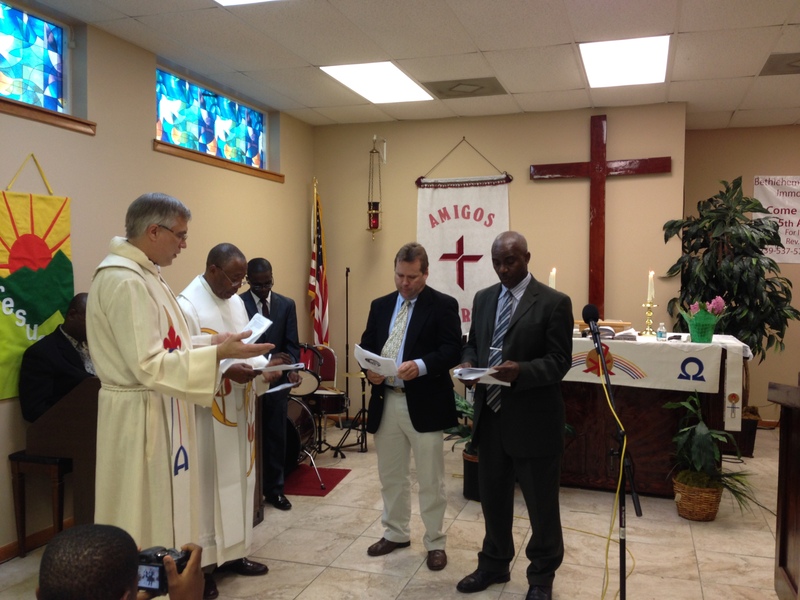 On May 4th, 2014 was the induction service for two vicars for our Immokalee ministry. Vicar Saint Luc Charelus will finish his theological studies next year; Vicar Karl Glander is just beginning his 4-year program of study. Both are enrolled in distance education programs of Concordia Seminary, St. Louis, MO and work under the direction of local mentors and supervisors. 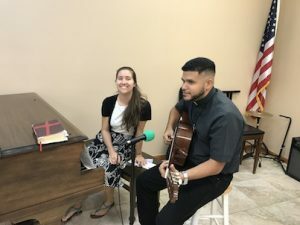 Upon satisfactory completion they will receive a Theological Diploma which makes them eligible for a divine call to the pastoral ministry of the Lutheran Church – Missouri Synod. 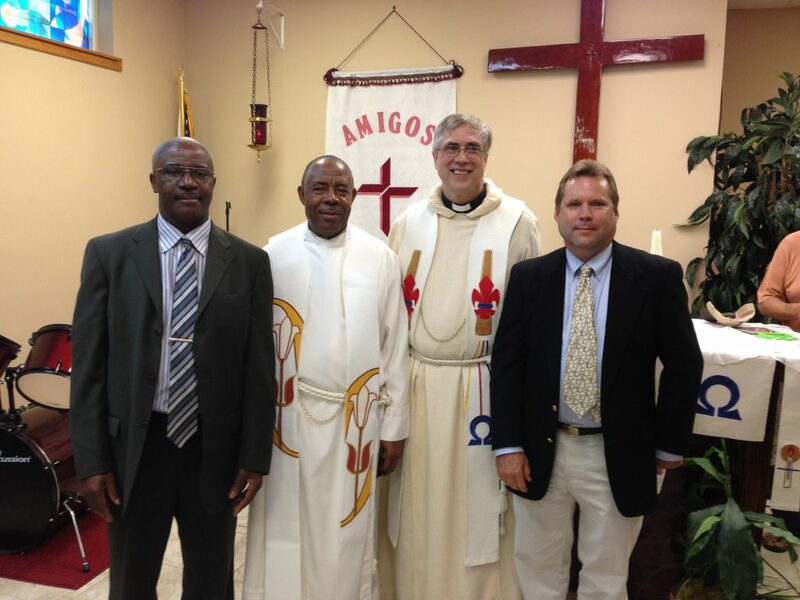 Upon graduation, we expect Saint Luc to join our pastoral ministry team at Bethlehem Haitian Church – LCMS. Karl will head up our English language mission in Immokalee. We celebrated the birth of Jesus Christ on December 22 in our Immokalee church and we shared the joy of God’s gracious gift of His Son in Immokalee this Christmas. 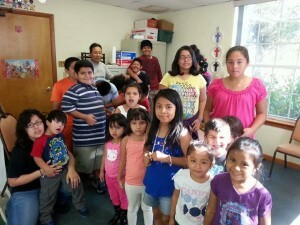 Congratulations to Maria Herrera on the transfer of her Board of Immigration Appeals accreditation to Amigos Center! She is now recognized at both our Golden Gate office and Bonita Springs office!